Came back home for a few days and did a great session with local Memphis singer/songwriter, Kait Lawson for an upcoming record…had a ball. This young lady has a bright future ahead and can definitely hold her own as a powerful voice. The songs were good, too! Two masterful cats joined me in the studio, my pal Steve Selvidge (The Hold Steady) on multiple guitars & the great Sam Shoup on upright and electric bass. I felt so lucky to have finally gotten the chance to record with these guys. What a treat. Anyhow, keep your eyes peeled for this one. 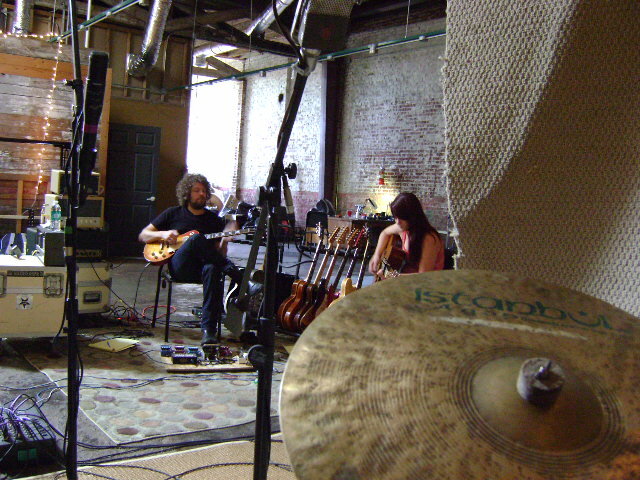 Steve & Kait working on a tune. 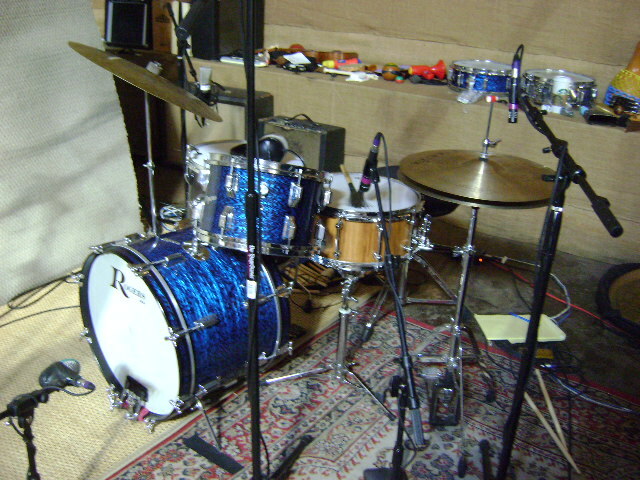 Rogers "Holiday" 14 x 20 bass drum, 8 x 12 rack tom, 16 x 16 Tempus floor, 6.5 x 14 Brady bamboo snare, 17" Istanbul Agop crash cymbals (as hi hats) and 20" Agop signature ride. 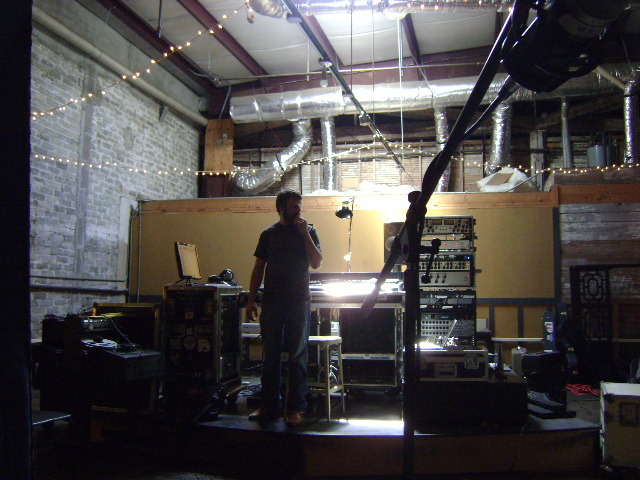 My right-hand man, Sam Shoup...totally killin' it, as usual. I tried a bit of muting and muffling this time, which yielded some nice results. 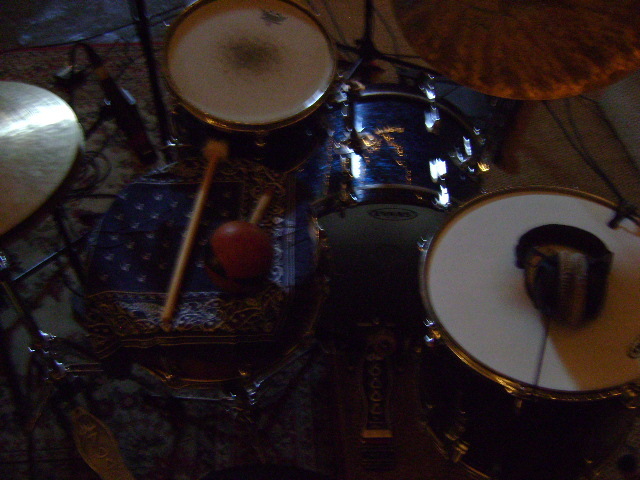 A bandanna over the snare gave it really dry and punchy tone. The producer loved it. 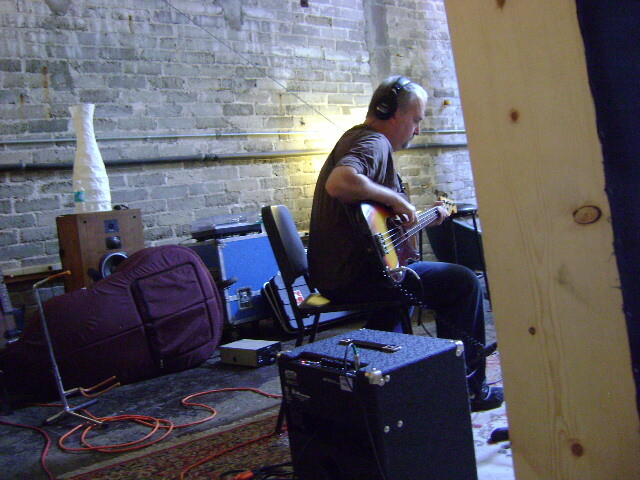 This record is being produced by Lucas Peterson, who also assisted my good friend Jeff Powell on the recent sessions we did with Billy Seward at Ardent. We tracked at Jeff and Lucas' new place, affectionately known (for the moment) as Humongous, Too still under construction in an old midtown building. Although somewhat dusty and noisy at times, the sounds we got in there were killer and hopefully they'll be able to keep the doors open. This trip home has been productive, fun and pretty relaxing. Back to LA in the a.m.